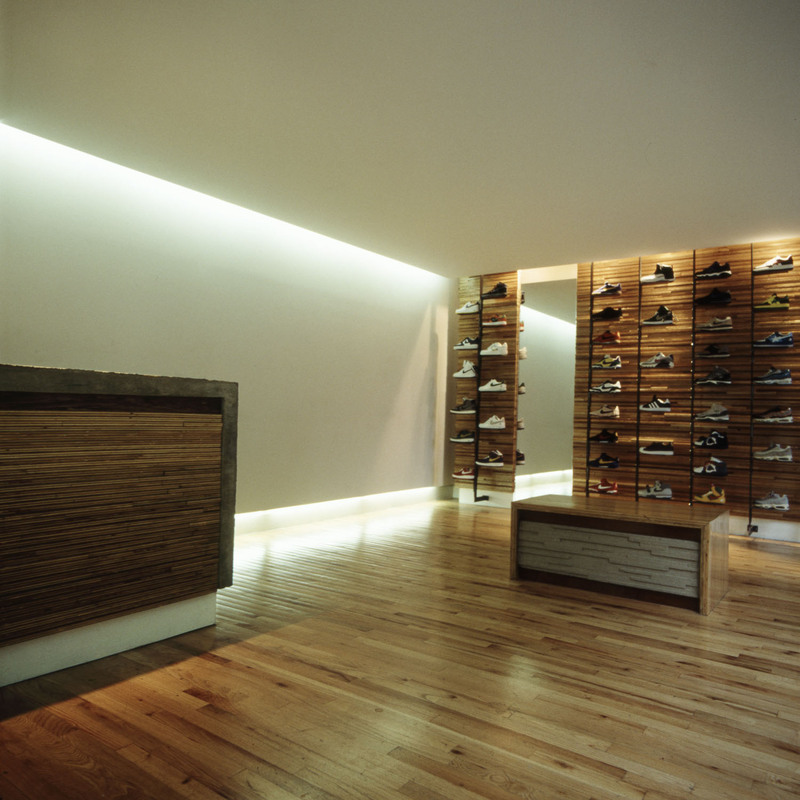 TEAMWORKS is a high-end sneaker retail store that uses sleek, modern finishes and custom furniture designs to sharply contrast with its antiqued Harlem environment. The space features a handmade sales desk and fitting bench of poured concrete and layered wood as well as a custom-welded steel frame display wall. 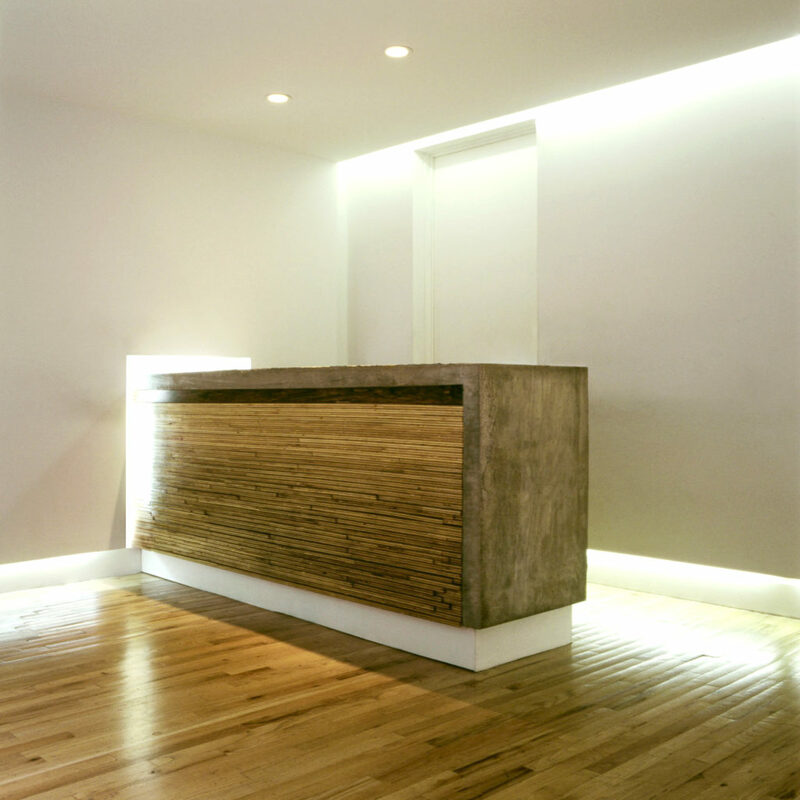 Carefully placed indirect lighting is used to distinguish the sparse palette of materials. The clean lines and folding white plane provide a subtle backdrop to the more variegated texture of the main display wall and wood panel flooring throughout the space.